Mediatek has officially announced that they will be partner up with many OEM this year to come up with Helio P10 powered smartphones and atleast 20 phones will be launched this year. 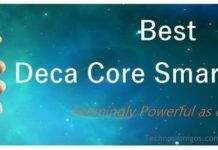 The Helio P10 or the Mediatek MT6755 is the newest chipset with 64 bit Octa Core SoC. There are rumors that Lenovo K52e78/ K52a48 and K52a40 will be the Lenovo’s new machines but to our surprise today leaks confirms that Gionee could take the title to launch first Helio P10 powered smartphone. 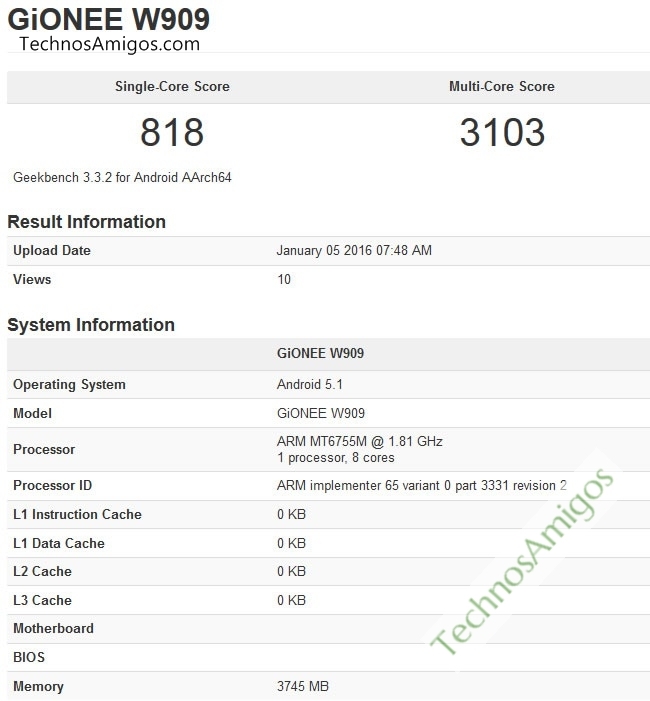 This confirmation of Gionee W909 smartphone powered with Mediatek MT6755 comes as the device passes through GeekBench benchmarking and it reveals some of the major specifications of the device. The smartphone will be running on Android 5.1 Lollipop and Geekbench is dated as on January 5, 2016.